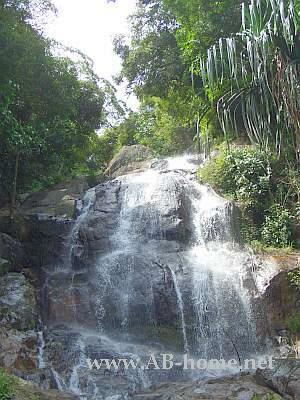 The Nam Tok Na Muang is the highest Waterfall on the Island Koh Samui in the Gulf of Thailand. It’s about 80 meters high and 10 meters wide. 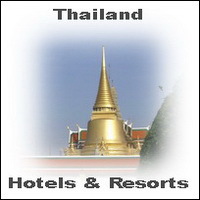 This Waterfall is easy to reach from everywhere on Koh Samui by Taxi or Motorscooter. A sign on the Main road of Thailands second biggest Island will show you the way along nice landscapes and an Elephant Camp. About 600 meter away from the Na Muang Waterfall you can park your Motorbike and buy some Thai Food and cool drinks like water and Pepsi. 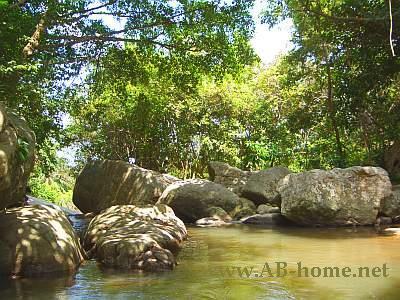 The walk to the Namtok Na Muang is nice, you walk along a small River in the tight Jungle. If you wear the right shoes you can climb up to the top of this Fall. If you on the top you will find nice Nature Pools with cancers, fishes and turtles for swimming. Here it looks like Paradise, many colorful Butterfly’s fly around and the Insects, Monkeys and Birds sing the song of the Jungle. Thailands Nam Tok Na Muang Waterfall is a good day trip on the busy Island Koh Samui in Thailand. If you come here in the early morning it’s not that busy like in the afternoon when the tourist masses coming to see this huge Waterfall.